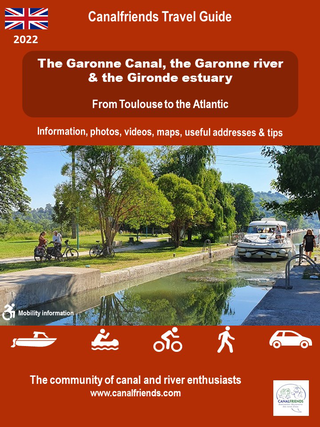 Welcome to this website dedicated to the Garonne Canal. The Garonne canal, also know as "The canal latéral à la Garonne", is less famous than the canal du Midi. But it deserves more than a detour to discover its history and the rich regions which it crosses. From Toulouse to Castets-en-Dorthe near Langon, crossing Agen, you can take explore this magnificent inland waterway on foot, by bike and, of course, by boat. From Toulouse to the Atlantic, discover the Garonne Canal, the Garonne river & the estuary Gironde by boat, bike or canoe. Visit the towns (Toulouse, Bordeaux, ....) and villages, maked by navigation on these waterways in the past till today. Try the local produce gown in the Garonne plain and select your accommodation.